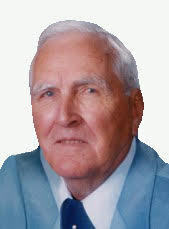 Obituary for Hershel Robirds | Crandall Funeral Home Inc.
Hershel Kelly (Kay) Robirds passed away August 7, 2018 after a lengthy battle with Alzheimer’s. Kay was born January 2, 1932 in Ozark County, Missouri; Kay was the third of six children born to Gladys (Jones) and Dallas Robirds. The family moved to “the farm” in Powell, Wyoming when Kay was 5. Following graduation from Powell High School in 1949, Kay served in the U.S Navy during the Korean War years, and then earned a Business Administration degree from University of Montana in Missoula. He worked and retired from the oil industry after 25 years, primarily in Riverton, Wyoming, and subsequently worked 17 seasons for the Uinta County Weed and Pest Department in Evanston, Wyoming. Kay loved hunting and fishing in Wyoming, dogs, cats, horse-racing, and baseball, as well as Bluegrass music having learned to play the fiddle in his youth. Kay married Bonnie Fay (Morrison), the love of his life, in Billings, Montana in 1955; she passed away in 2010. He is survived by their four children: Thomas (Cristine), Terrance, Tracy, and Tyler (Cathy), plus seven grandchildren: Sarah, Ryan, Christopher, Chelsea, Michael, Sadie and Landon, and six great grandchildren. Cremation has taken place and the celebration of life is being planned for next summer; we will spread his ashes with Bonnie’s at their favorite fishing spot in the Wind River Mountains. Those who wish to make a memorial donation, the family suggests giving to your local humane society.